As the renown Angelus bell rang in the 2004 vintage, the international Naming Police targeted Wirra Wirra about the nomencalture of their flagship Cabernet Sauvignon. As good law-abiding bell ringers , they acquiesced when challenged and the wine now is known as the Dead Ringer. This 100% Cabernet comes from vineyards ranging from 15 - 20 years old in the Seaview and Clarendon subregions of McLaren Vale. This wine is known in Australia as The Angelus Cabernet. The name is a reference to an old Angelus bell which was recovered from an old church in Adelaide. The bell is now in a bell tower on the winery, but due to a famous Bordeaux winery already having trademarked the name, it is no longer called The Angelus Cabernet outside of Australia. Instead it is called Dead Ringer which is a reference to this wine being an exact resemblance of the famous French wine. The wine has all the typical Cabernet characteristics, from the currant and cassis fruit backed up by some leafy notes and then going into notes of cedar, leather and cigar box. Still known as “The Angelus” in Australia, the 2010 Dead Ringer Cabernet Sauvignon is deep garnet-purple colored and shows off intensely scented notes of creme de cassis, black cherry preserves and blueberry tart with hints of cedar, mint, dark chocolate and tree bark. Medium to full-bodied, it is well-balanced with a good core of expressive fruit, medium firm, grainy tannins, crisp acid and a long finish. Still a little young, it should drink best 2014 to 2024+. As the renown Angelus bell rang in the 2004 vintage, the international Naming Police targeted Wirra Wirra about the nomencalture of their flagship Cabernet Sauvignon. As good law-abiding bell ringers , they acquiesced when challenged and the wine now is known as the Dead Ringer. This 100% Cabernet comes from vineyards ranging from 15 - 20 years old in the Seaview and Clarendon subregions of McLaren Vale. This wine is known in Australia as The Angelus Cabernet. The name is a reference to an old Angelus bell which was recovered from an old church in Adelaide. The bell is now in a bell tower on the winery, but due to a famous Bordeaux winery already having trademarked the name, it is no longer called The Angelus Cabernet outside of Australia. 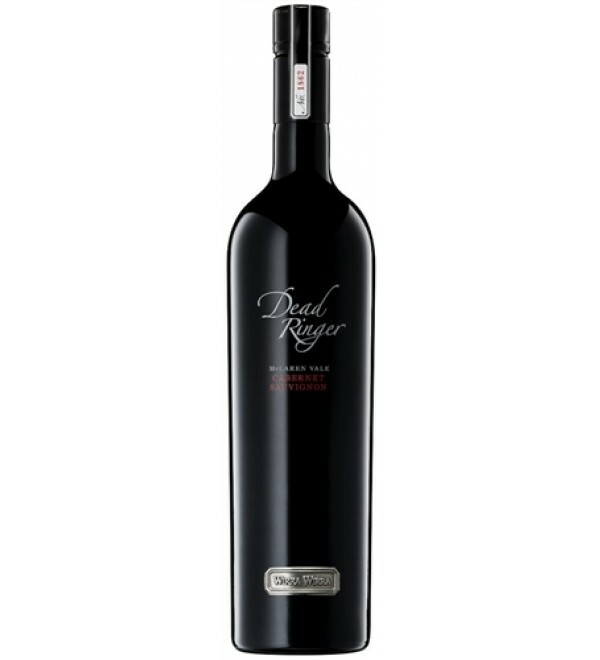 Instead it is called Dead Ringer which is a reference to this wine being an exact resemblance of the famous French wine. The wine has all the typical Cabernet characteristics, from the currant and cassis fruit backed up by some leafy notes and then going into notes of cedar, leather and cigar box.